Aidan Gillen and Michael Malarkey kept Season 1 of History’s UFO drama grounded. Cheers to “Project Blue Book” … for its “X”-ceptional odd couple. 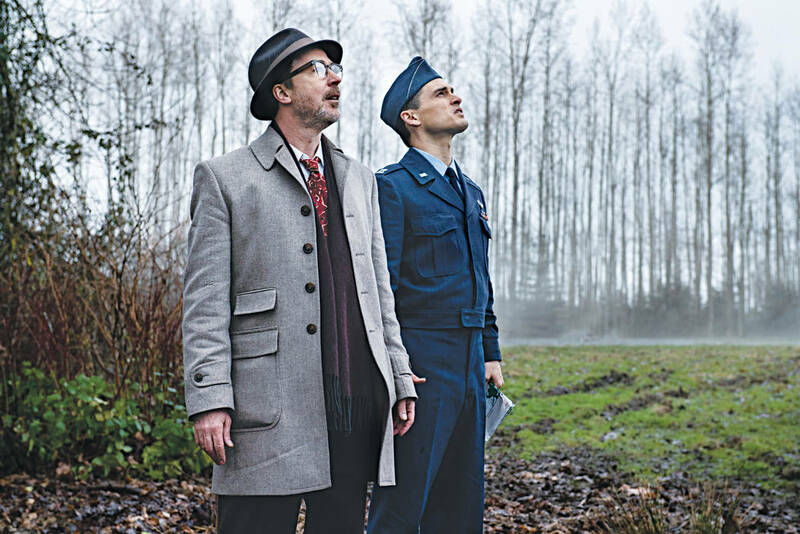 Hynek (Aidan Gillen) and Quinn (Michael Malarkey) were an engaging, prickly pair that kept Season 1 of History’s UFO drama grounded even as the skies filled with cases ripped from real life. Cheers to USA’s “Suits” … for its finely tailored season finale. In addition to delivering a crafty twist that showcased the always awesome Wendell Pierce (as exiting partner Robert Zane), fans also got a hookup between Donna and Harvey (Sarah Rafferty, Gabriel Macht) that was as hard-earned as it was hot. Jeers to “American Idol” … for focusing on the wrong talent. ABC’s reboot returned to find a new singing star, but the season premiere spent so much time on the jokey vibes between judges Lionel Richie, Katy Perry and Luke Bryan, most auditioners barely had a chance to shine. Jeers to Netflix … for not completing its “Grand Designs.” The addictive British series about outlandishly constructed homes has been running in the U.K. for 19 seasons — plus spinoffs! — yet there are only two years of episodes available for streaming. Way to undervalue an incredible property.